Federal inquiry suggests flawed information-sharing and an overwhelming flow of intelligence kept U.S. investigators from identifying the threat posed by an American terrorist. A review of the U.S. government's contacts with David Coleman Headley, a central figure in the 2008 attacks on Mumbai, has identified at least five separate cases in which relatives or associates warned he was training or working with Pakistani militants. The review, which is being led by the Director of National Intelligence, found that plausible allegations about Headley's extremist ties began as early as 2001 and were more numerous and specific than previously disclosed, federal officials said. They described to ProPublica the results of internal inquiries being conducted by the FBI, CIA, and other agencies for the intelligence director, whose office declined to comment. In a previously unreported tip, one of Headley's ex-wives told U.S. officials overseas that she suspected he was linked to the 2007 bombing of a train in India that killed dozens of people and has been blamed on the Lashkar-e-Taiba militant group. During that meeting, just seven months before the Mumbai attacks, she also warned that Headley was on a "special mission," according to a senior anti-terror official. As investigative leads about Headley accumulated over seven years, he trained in Pakistani terror camps and scouted Indian, U.S., and British targets around the world for Lashkar, which the United States designated as a terrorist group in 2001. It's not clear whether the investigators who evaluated each tip about Headley knew of all the previous warnings. But it is known that the Pakistani-American businessman was not questioned or placed on a terror watch list. Since the Sept. 11 attacks, the government has invested billions of dollars in creating new systems to track threats and improve communication in the counter-terror community and with U.S. allies. Sometimes the system appears to work well, as in the recent response to an al-Qaida plot to plant bombs on cargo planes from Yemen. But the handling of the Headley case suggests that flawed information-sharing, an overwhelming flow of raw intelligence and a lack of focus on Lashkar kept U.S. investigators from identifying an American terrorist. "It's a black eye," said the senior anti-terror official, who spoke on condition of anonymity. "The problem is the information system. New York didn't know about Philadelphia. Islamabad didn't know about Philadelphia or New York." The Director of National Intelligence, or DNI, launched a review of the Headley case after ProPublica reported last month that federal investigators in New York City looked into a 2005 tip from Headley's wife about his training with Lashkar and other extremist activities. The New York Times followed with a report that another of his wives, a Moroccan, warned U.S. embassy officials in Pakistan in 2007 that she thought he was a terrorist. Officials said both leads were taken seriously, but the wives' allegations were too general to connect Headley to a terror group or plot. The review has found four additional warnings, officials say. The newly discovered leads surfaced in 2001, 2002, April 2008 and December 2008 -- a month after Lashkar killed 166 people in Mumbai, six of them Americans. Headley, whose reconnaissance was crucial to the attacks, was not arrested until October 2009. The tipsters in the newly disclosed cases all warned that Headley was an extremist, and three tied him to training or other terrorist activity in Pakistan. The tipsters included one of his former girlfriends in New York City, the owner of a business frequented by his mother near Philadelphia, and one of his mother's friends in the Philadelphia area. The review also turned up a second, more specific tip from Headley's Moroccan wife when she contacted U.S. officials in Pakistan again, just seven months before the Mumbai attacks, officials say. The FBI arrested Headley after British intelligence discovered in July 2009 that he was involved in an al-Qaida plot to strike Denmark. 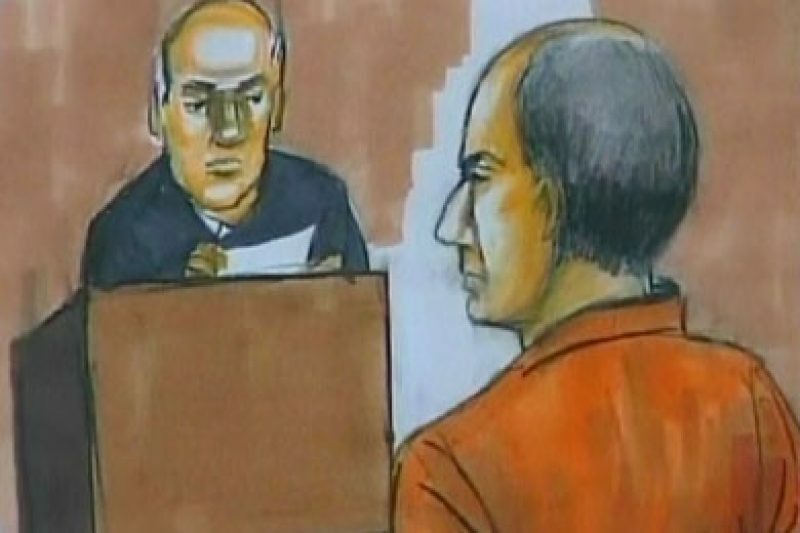 Headley, now 50, has pleaded guilty in the Mumbai and Denmark cases and is cooperating with authorities. DNI spokeswoman Jamie Smith said she couldn't comment on specific findings in the ongoing review. "Reviews of this nature are not uncommon and an important part of improving existing processes," Smith said. "Please note that since these events occurred, advancements in information sharing systems have been made by applying the lessons learned from these reviews. "We take our counterterrorism cooperation with our Indian partners very seriously," she added. "Our respective intelligence and law enforcement professionals work very closely together on terrorism issues of mutual concern." Nonetheless, federal officials speaking on background described some of the findings of internal inquiries by the agencies involved, including a timeline of the Headley case. They pointed out that the first two tips surfaced during a deluge of information after the Sept. 11 attacks, as the FBI and other overwhelmed agencies struggled to modernize technology and develop databases for tracking threats. They said the system has progressed significantly since then but that the more recent inquiries about Headley may have suffered from lingering flaws. "I think the question of how much of a role the system played will be clear after the review," said a federal official familiar with the case. "We will know better what was possible then, what can be fixed. We do know that we had an evolving system, technologies, databases back then. It was the beginning of this transformation." The review is expected to address another unanswered question: whether Headley's work as a U.S. informant affected the investigations of him. Headley began spying on Pakistani drug traffickers for the DEA in the late 1990s and was still an informant when he began training with Lashkar in 2002, according to officials. Some say the DEA cut its ties with him between 2003 and 2005; others simply say his work ended "well before" Mumbai. "The issue as to whether he was an informant may have played a role," the federal official said. The first tip about Headley came in New York City in the tense weeks after the Sept. 11 attacks. The source was a former girlfriend of the fast-talking former drug dealer. (Headley has been married four times and had several wives simultaneously.) Agents from the Joint Terrorism Task Force in New York interviewed the woman, who worked as a bartender, on Oct. 4, 2001, after another bartender contacted authorities. The ex-girlfriend alleged that Headley and his mother supported Pakistani extremists, officials say. She quoted Headley as saying he was ready to fight in Pakistan and that Pakistan had suffered at the hands of the United States. But she also told investigators that he had criticized the Sept. 11 attacks, officials say. Agents interviewed "more than three people" including Headley's mother, Serrill, a wealthy and flamboyant Philadelphian who had divorced his father, a prominent Pakistani broadcaster, officials say. She told them her son was passionate about Pakistan's struggle with India over the Kashmir region, but she also insisted that he opposed the Sept. 11 attacks. At the time the ex-girlfriend sounded the alarm, Headley had radicalized and was recruiting and raising funds for Lashkar, according to a source close to the case. The New York inquiry was closed because investigators didn't see a danger, the federal official said. "The thinking was: Is there a threat that is actionable?" the official said. "Remember what was going on then after 9/11. There were literally hundreds of thousands of bits of information coming in." Headley trained at a Lashkar camp in the mountains near Muzaffarabad in February 2002. He returned to the East Coast that summer, according to a source close to the case. In July, a second tipster came forward in the Philadelphia area: the owner of a business where Headley's mother was a regular customer and that Headley had visited at least once. The business owner called an FBI tip line in Philadelphia and said that Headley's mother often talked about her son and described him as an increasingly fanatical extremist, officials say. Headley had told his mother about training with terrorists at a Pakistani camp and meeting 16-year-old trainees who later died in combat, officials say. "She was concerned about him. She was trying to figure out why he was doing it," the business owner, who asked to remain anonymous for security reasons, told ProPublica. "I'm thinking here's this guy, he's traveling all over. I thought: Should I tell someone or should I not? I decided that if anybody knows anything, they should say it." The phone conversation with the official who answered the terror tip line lasted about three minutes, the business owner said. "I figured the FBI would take it from there," the business owner said. "There was no follow-up. I never heard anything else about it." Investigators took basic steps such as record checks, but it is not clear whether they learned of the New York inquiry, officials say. The Philadelphia lead was filed under miscellaneous terror cases and closed. "They took it to where they could take it," the federal official said. "There was a lot of information coming in about boyfriends, husbands, sons." Headley trained again in Pakistan in August 2002 and three times in 2003 and 2004, court documents show. "Were We Concerned About Lashkar in 2005?" The third tip came in August 2005 after a domestic dispute that resulted in Headley's arrest. As ProPublica has reported, his wife in New York phoned the Joint Terrorism Task Force there and described his ties to Lashkar. In three interviews, she told investigators about his training, fundraising and work as an informant. She offered to show them his e-mails, an offer they rejected, according to a source close to the case. The tip became a lead in the FBI's Guardian Threat Tracking System, which was created in 2004 and can be accessed by terrorism task forces, FBI field offices, and more than 50 legal attachés in embassies around the world. FBI supervisors document each lead that goes into the Guardian system and decide whether to proceed from an initial inquiry to a preliminary or full investigation. Officials believe the investigators were aware of the first inquiry into Headley by their own task force in 2001. But it's not clear they knew of the 2002 Philadelphia tip alluding to terrorist training in Pakistan. "We can't say for sure they had access to both leads," the federal official said. The New York task force found "no nexus to terrorism" and closed the inquiry, officials say. Investigators may have been influenced by a view that Lashkar focused on South Asia and did not pose a threat to the United States. "The guys that work these issues every day will tell you that there is a problem of sheer volume," a U.S. law-enforcement official said. "And there's a question: Were we concerned about Lashkar in 2005?" By 2005, though, it was already clear that Lashkar's reach extended beyond Kashmir and India. An aggressive FBI investigation in Virginia had resulted in life sentences for American Lashkar militants who had less contact with the group than Headley did. And former Lashkar trainees had been prosecuted in bomb plots against New York, London, and Australia. Some officials find it strange that the task force didn't interview or monitor Headley or cultivate him as source. "You wonder why they didn't try to interview him for intelligence purposes," the senior anti-terror official said. "Why didn't they do a lookout at airports for him so he could be checked or interviewed when he was traveling? Why didn't they put him on a watch list?" A year later, Headley began using his cover as a businessman to scout targets in Mumbai under the direction of terrorist handlers and a Pakistani intelligence officer, according to investigators and court documents. In December 2007, Headley's Moroccan wife went to the U.S. embassy in Pakistan with what would become the fourth tip. She met with agents of the State Department's Bureau of Diplomatic Security and of Immigration and Customs Enforcement. The wife hoped to get a U.S. visa and was angry at her estranged husband, officials say. During two meetings, she told them Headley was involved with "big people" and "looking to participate in jihad against the U.S." She mentioned suicide bombing and terror training but without "actionable details," officials say. A State Department security officer forwarded the information to the CIA station chief and the FBI legal attaché, but both decided the allegations were too general to pursue, officials said. The senior anti-terror official who spoke with ProPublica said the agents in Islamabad did not know about all the previous tips. But the other federal official said that hasn't been confirmed. "I can't rule out that they had access," that official said. The Moroccan wife returned to the embassy in Islamabad and offered another, more specific warning four months later, in April 2008, officials say. "She said Headley had been given a special mission and that he had both U.S. and Pakistani passports," the senior anti-terror official said. "She said she felt she had been innocently used in an express train bombing" in India in 2007. The allegations again connected Headley to Lashkar and, for the first time, to a terrorist attack. In July 2009, the U.S. Treasury Department accused a chief coordinator for Lashkar of playing a central role in the bombing of the Samjhauta express train, which killed 68 people. Indian investigators have recently pursued theories that Hindu militants were behind the attack. No link to Headley has been disclosed. The Moroccan wife's description of a "special mission" was accurate: Thanks to Headley's reconnaissance trips, Lashkar was finalizing its plan to strike Mumbai at the time of her warning. Officials gave no further details on how the embassy personnel responded. The assault on Mumbai began on Nov. 26. The killing didn't stop until Nov. 29. On Dec. 1, a final tip surfaced -- once again in Philadelphia. Headley's mother had died 11 months earlier, but the news of the Mumbai tragedy spurred a friend of hers to contact the FBI. The friend told agents about a past conversation with Headley's mother that now led her to believe Headley "had been fighting alongside individuals in Pakistan to liberate Kashmir for the past 5 to 6 years," officials say. Three weeks later FBI agents tracked down a cousin of Headley's in Philadelphia. The cousin said he knew nothing about militants and told agents Headley had lived in Pakistan for the past five years, officials say. But investigators and documents indicate that Headley was actually dividing his time among Pakistan, India, New York, and Chicago. Agents checked Headley's background and found at least some of the previous leads dating back to the 2001 tip in New York, officials say. But it isn't yet known if they learned about the Moroccan wife's allegations overseas. By this time, the U.S. view of Lashkar had changed dramatically. Lashkar had targeted Americans in Mumbai, and Headley represented a possible danger, a potential source of badly needed intelligence or both. Nonetheless, officials say the Philadelphia agents closed the case, or "put it on hold," because they believed Headley was overseas. Just weeks later, however, Headley traveled from Chicago to Denmark and did reconnaissance for a plot against a newspaper that had published caricatures of the Prophet Mohamed in 2005, according to court documents. He even met with newspaper representatives about advertising opportunities, the documents say. Lashkar suspended the Denmark plot in March, but Headley continued working on it with al-Qaida until he was arrested in Chicago in October 2009. In the final months of his odyssey, Headley scouted targets for Ilyas Kashmiri, the al-Qaida boss who officials say is behind recent threats of Mumbai-style attacks in Europe. ProPublica research director Lisa Schwartz and researcher Nicholas Kusnetz contributed to this report.